As Cholmondeley and I were rambling round town this afternoon, we came upon this excrescence. 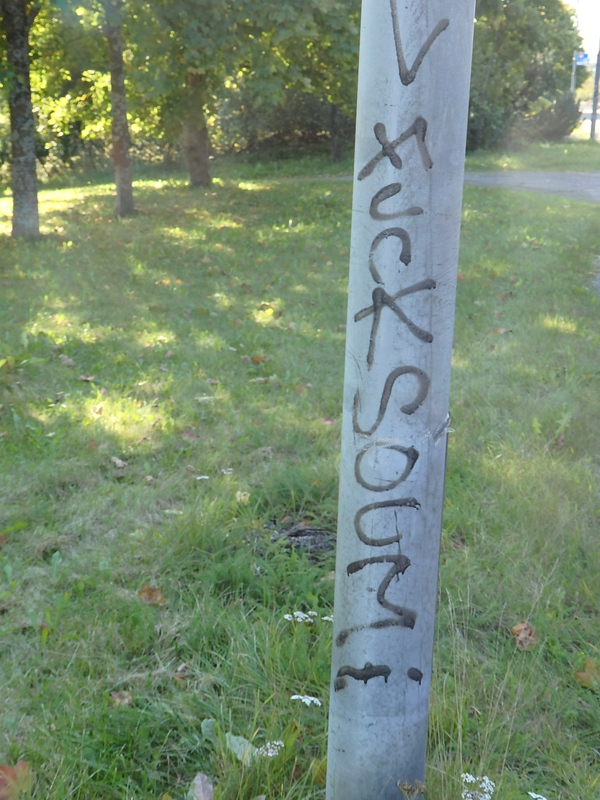 What was the tagger who spat out this little bit of verbal vandalism trying to say? There is no such word as soumi in Finnish. The only Soumi I could find via a quick search of the internets was the Cameroonian (?) recording artist(s) (?) who released this fabulous single, “Paracétamol,” early this year. Imatra ei ole Afrikassa vaan Suomessa. Africa is indeed a long ways away in more ways than one.